Crane, Pam A. 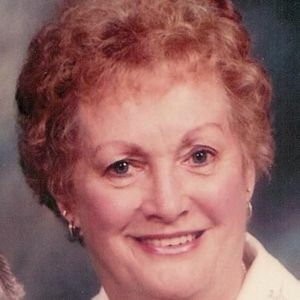 (nee Munrath) Loving wife of 60 years to Harold G. Crane, devoted mother to Judy Wakeman (John) and Joanie Flaig (Ron). Grandmother ot Mike Bryan, Kirstin Hennings (Mike) and Erin Flaig. Great grandmother to Michael Hennings. Dear sister of Claramae Earle (Ken). Loving aunt of Karen Strasser (Jim), Steve Earle (Michelle) and the late Kathy Mulligan (Pete). May 2, 2012 after a long illness. Age 81. Visitation Saturday from 9am until time of funeral services at 10am at Pilgrim United Church of Christ. 4480 Bridgetown Rd.. Burial to follow at Bridgetown Cemetery. Memorials may be made to Parkinson's Tri-State Wellness Chapter, 260 Stetson St. Suite 2300 Cincinnati, OH 45267-0525 or to Destiny Hospice, 4350 Glendale Milford Rd. #110, Blue Ash, OH 45242. The beautiful and interactive Eternal Tribute tells Pam's life story the way it deserves to be told in words, pictures and video.